Founded almost fifteen years ago in 2004, GoToMeeting, now a product of LogMeIn, is one of the big incumbents of the online meeting market. With over eight thousand employees, GoToMeeting does $1 billion in revenue with a market cap of $13 billion. Newcomer Zoom, founded in 2011, is fast growing into an established share of the market as well. With revenue at $120 million and a valuation of $1 billion, they are starting to make some serious waves. Enter your email so you don't miss a single Teardown. In today's episode of Pricing Page Teardown, Patrick and Peter dive into the red ocean rivalry between established web conferencing juggernaut GoToMeeting and up-and-comer Zoom. We talk feature differentiation, finding a niche, and how to come out on top in a fiercely competitive market. We all know that a freemium plan is more about acquisition than revenue. Being able to lower the barrier of entry increases the number of customers you'll have signing up for a new account. Though this model can work, there are a number of considerations that need to be addressed before making the decision to go with a freemium account. Before those customers come through the door, you need to have a well-defined upgrade path in place to start generating actual revenue from these new accounts. Without that plan in place, it will be difficult to keep your new customers more engaged. Going freemium can also be a business tactic for gaining entry into an existing market, which is what Zoom is doing with their Basic plan. On the Basic plan, customers can host an unlimited number of 1-to-1 meetings and have up to 100 participants, which is the same as GoToMeeting's Premium plan. This freemium pricing tier stands out as one of the competitive edges for Zoom in the web conferencing market. As the pricing increases, we start to see more add-ons such as user management, reporting, and company branding such as vanity URLs. This is very much in line with how Salesforce presents their pricing as well. Where we really start to see a lot of potential competition is in feature differentiation and the add-on economy. A lot of the Core Features like recording, unlimited meeting duration, and HD video conferencing are table-stakes at this point, and people aren't typically willing to pay extra for those. 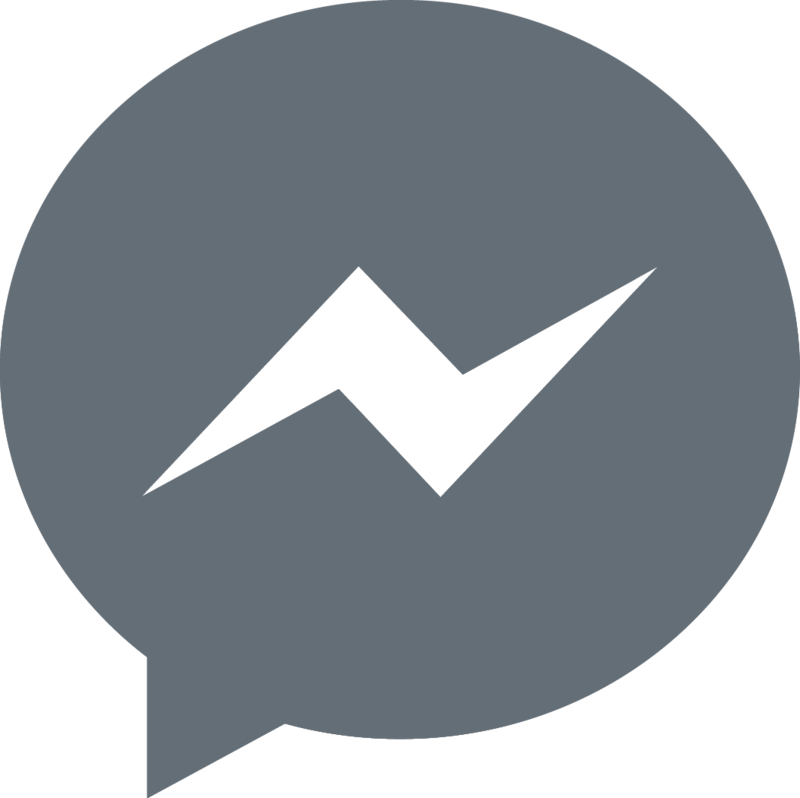 Of the 4,089 current, former, and prospective customers we surveyed, the willingness to pay really becomes important in the Add-Ons section. Think of the Add-Ons section as the main battleground between Zoom and GoToMeeting. By moving some features that land in the Add-Ons section into higher-priced plans, GoToMeeting can price themselves down to be more competitive with Zoom. Reporting, company branding, premium support---these are the kinds of things that customers are more than willing to pay for, so it makes sense to use them as cross-selling, or up-selling, collateral if GoToMeeting really wants to focus their efforts towards the same market as Zoom. That's not to say that updating their pricing strategy to target those lower plans is the only pricing strategy they have available. GoToMeeting could also shift their focus in the other direction and start offering super premium and enterprise pricing tiers as well. Both Zoom and GoToMeeting have to consider the market they live in, and figure out what niche they want to pursue. Offering a service for less than the price that was originally set sounds counterintuitive. Why would anyone want to take an intentional hit to their revenue for a potentially small boost in their acquisition? The answer lies in conversion and conversion. 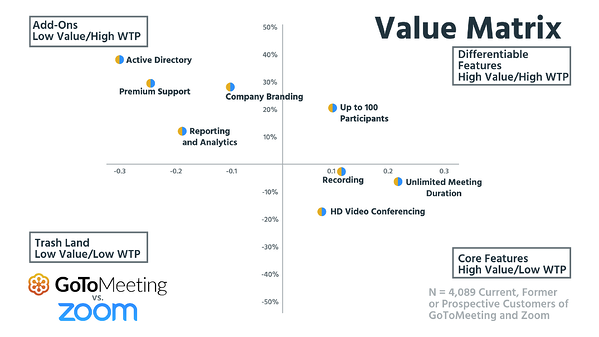 When your pricing model is anchored higher than others in the market, like GoToMeeting, discounts can be an important tool for acquiring more enterprise or high-value customers. 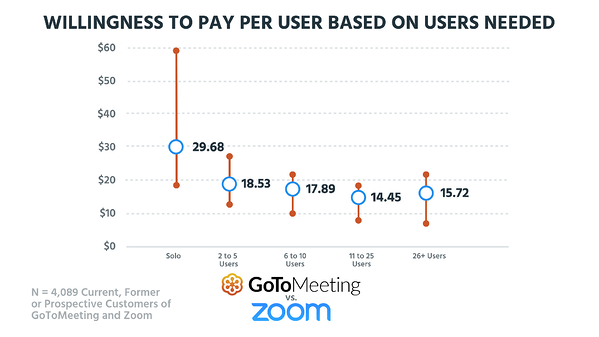 Because GoToMeeting's price is objectively higher than Zoom's, they can use discounting as a way to go after larger customers that might be paying more on either platform. GoToMeeting's pricing page is clearly laid out to highlight their per-user pricing as well as feature differentiation. They get people through the door with a fourteen-day free trial and use those additional features and participant limits to move customers to a paid plan faster. There is a free GoToMeeting plan, but that isn't highlighted on their pricing page. 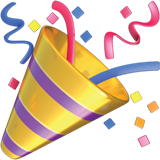 As a customer moves higher and higher in GoToMeeting plans, the number of participants they can handle increases as well. This falls in line nicely with customers' overall willingness to pay. What's interesting is that there is essentially flat, or even negative growth at the lower participant tiers. For up to ten participants, the willingness to pay averages at $22.55, but flexes up closer to $30.00, which is similar to the range for the 11- to 50-participant tier, at an $18.08 average. The willingness to pay for users is almost the opposite, it starts out high for solo users with an average of $29.68 but flexes nearly to $60.00. There is a massive drop as the number of users increases. 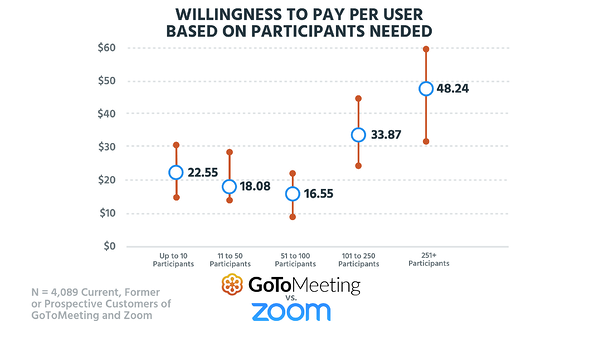 From solo to two to five users drops the overall willingness to pay to $18.53, an almost 40% decrease. After that, it stabilizes somewhat and only decreases to $15.72 for 26 or more users. This could be scary for GoToMeeting when you get into the more serious business tiers. With a need for lots of seats, the pricing is right within Zoom's wheelhouse. This is another chance for GoToMeeting to use discounting based on value or a higher user count to get those larger prospects through the door. By anchoring prices higher, they have a lot more room to play with their pricing on an individual customer basis. Establishing a high-growth business in the enormous market of web conferencing and video call tools is going to be very difficult. To be successful, you need to know how intense the market is before you get into it. There is a lot of competition in this space and Zoom and GoToMeeting are carving out their own niche already. The difficulty for both is when they start to compete with one another. If GoToMeeting goes that way, and starts restructuring their pricing tiers to vie for low-end customers Zoom is currently targeting, they could definitely make a run at a piece of that market as well. Zoom has the advantage of being somewhat newer in that space, so they can also find out where it makes the most sense to grow, and who they want to compete with in the long run. Both Patrick and Peter would stick with Zoom as a customer. Not that GoToMeeting is an inferior product, but the interesting thing about this space is that as a company grows, the quality is likely going to decline due to bandwidth constraints. As an investor, though, Patrick and Peter would go with GoToMeeting. As a product of LogMeIn, and part of a huge ecosphere of remote access and remote management tools, it makes sense to pitch in with GoToMeeting. Though it might not yield high growth, as a portfolio play, it just makes sense.